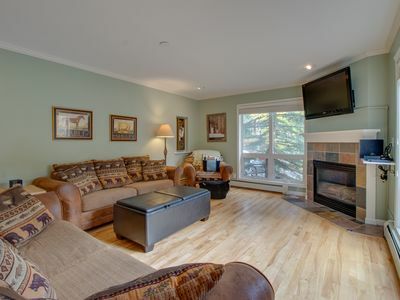 This great corner unit is located in Passage Point. 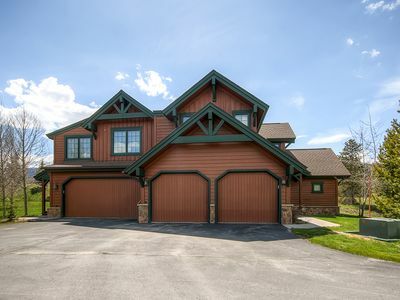 From its location on the 1st floor of Passage Point it has views of the ski hill and the beautiful Ten Mile range. We purchased this condo in the summer of 2014. We have replaced most of the furniture and have installed new light fixtures to brighten it up.In the 2nd bedroom we installed two sets of Twin XL bunkbeds with new mattresses. Last Fall, we remodeled the kitchen and 2nd bathroom, with all new cabinets, counter tops, tile floors, and stainless steel appliances. 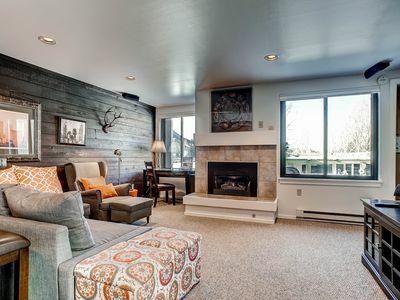 We put new carpet throughout the condo and added some barnwood accent walls. Also we added ceiling fans in both bedrooms and family room. There are several advantage of being on the enclosed end of the 1st floor. No hallway noise. You have access to the slopes, the pool and hot tubs, the ski lockers and the fitness room without the need to get on the elevators. 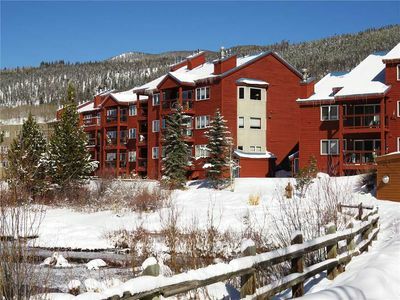 This great condominium is located in Copper Mountain's bustling center village. 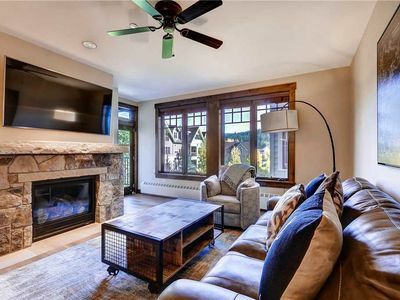 Just steps away from the ski lift, this fabulous condominium is perfect for a get-away at Summit County's best winter ski resort. Our unit is on the first floor of Passage Point, featuring 12-foot ceilings with large windows. 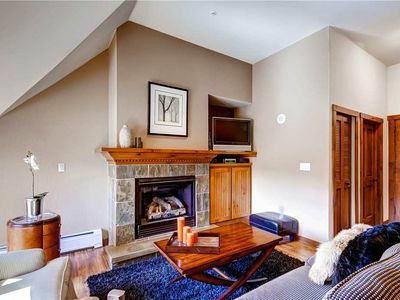 As a corner unit, our condominium has a large balcony with fantastic views of both the Ten Mile Range and the ski slope. This elegantly appointed condominium has a king bed in the master bedroom and two sets of XL twin bunks in the 'bunk room'. 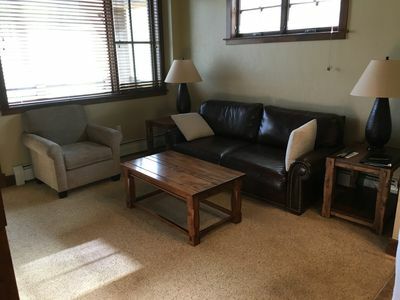 In addition there is a comfortable queen-sized sofa-sleeper in the living area. It comfortably sleeps 8. 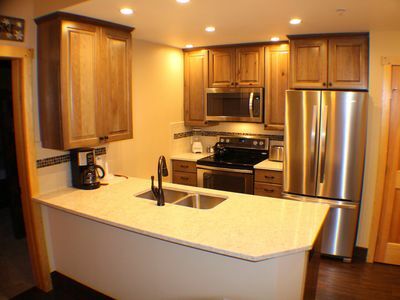 The unit also has a full-service kitchen and eat-in dining space for cooking and dining at home. 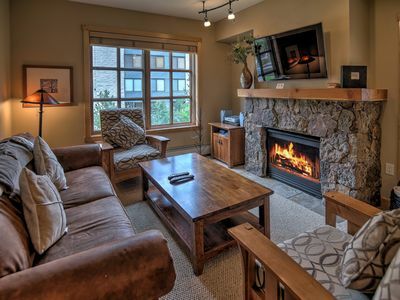 Relax and enjoy a movie beside the fireplace in the living room area. 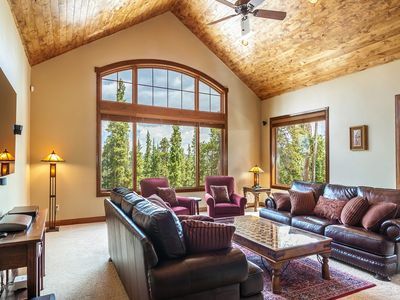 Passage Point is the most requested lodging available at Copper Mountain. 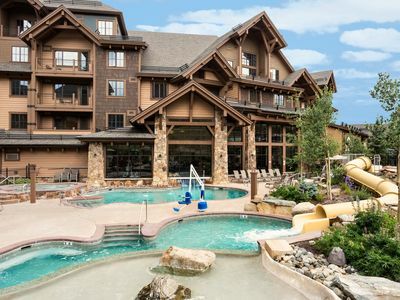 Your reservations include access to an on site work-out facility, ski lockers, two hot tubs, and a small heated pool. With over 300 inches of snowfall annually, Copper Mountain rivals the big-name Colorado ski resorts. 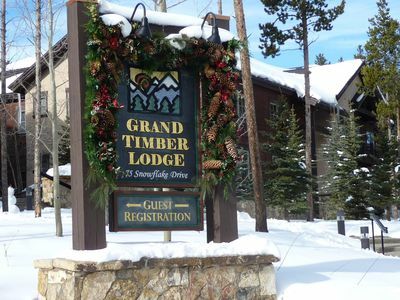 However, with limited on site lodging, Copper Mountain is one of the most sought-after destinations resorts in Colorado. Copper Mountain has a wide selection of après-ski, dining, and entertainment. 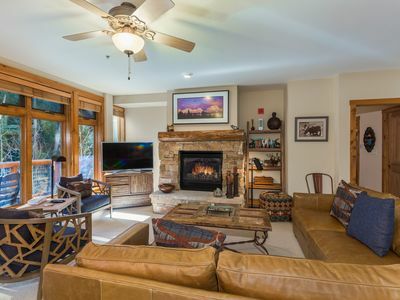 Enjoy ice-skating on the pond in the center village or sit by the fire pit and soak in the mountain air. Copper Mountain features one of the best ski schools in the country. No smoking and no pets! A $250 refundable damage deposit is collected with final payment. It will be refunded after final cleaning, assuming no damage has been done beyond normal wear and tear. 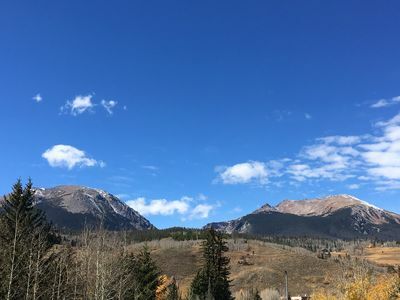 ABOUT COPPER MOUNTAIN: Known as the 'Local's Favorite,' Copper Mountain is the largest ski and snowboard resort in Summit County. It is also the only ski resort that features naturally separated terrain, allowing beginners, intermediates, and experts to ski and ride on their own distinct areas of the mountain. 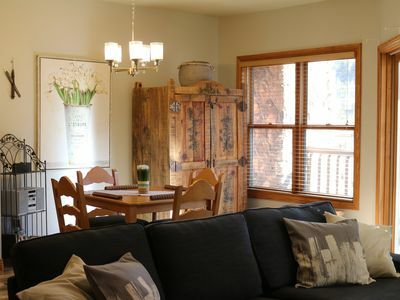 Its central location (situated between Breckenridge/Keystone to the east and Vail to the west) makes it ideal for guests who want to get out and enjoy other resorts as well. With 2,433 acres of skiable terrain, Copper Mountain is the least crowded mountain resort area in Summit County, Colorado. Despite being the biggest, it has the least amount of lodging units available which is the main reason for Copper's uncrowded lifts and runs. With its naturally divided ski terrain that separates skiers by ability across the mountain, Copper has been called 'the most nearly perfect ski mountain in the United States' by the Forest Service. Its also known as the Locals Favorite. Perhaps thats due to Coppers long, steep mogul runs, or its ample above-timberline open bowl skiing. True ski-in, ski-out units within steps of the American Eagle Lift. 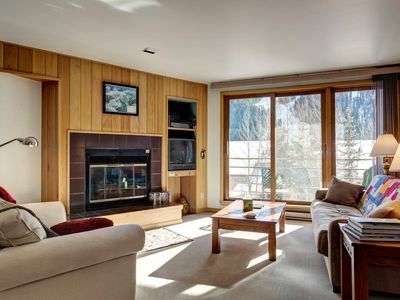 Located on Copper Road, Passage Point is just a few steps to the Free Copper Shuttle that services the entire resort including the Ski School program in Union Creek as well as the East Village. The Summit Stage serves surrounding communities such as Frisco, Dillon, and Silverthrone. 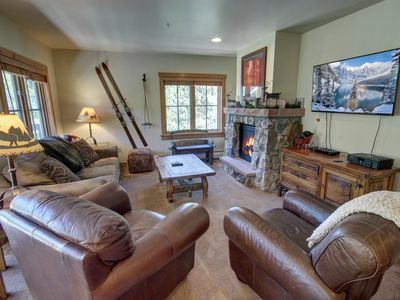 The first floor location means you can get to the slopes without using the elevator. That's a big bonus during busy ski weekends. You'll be on the lift while those on the upper floors are still waiting for the elevator. 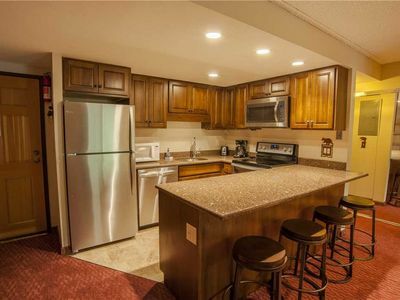 Hot Tub, Foosball & Plenty of Space to spread out in this Luxury Duplex! 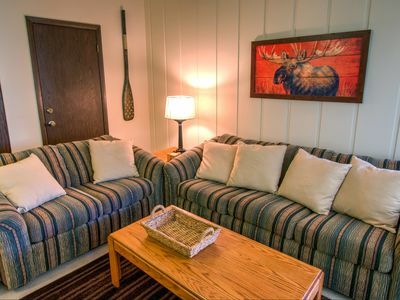 Relax in comfort at the ideal location! 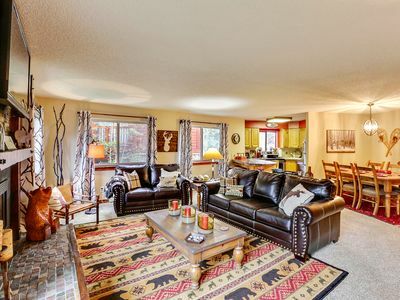 2 Bed+Den/2 bath. Mirasierra House. 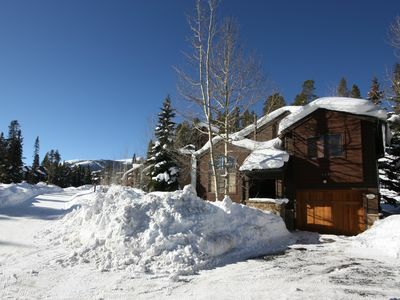 Classic mtn home with private hot tub - immediate access to year-round fun!